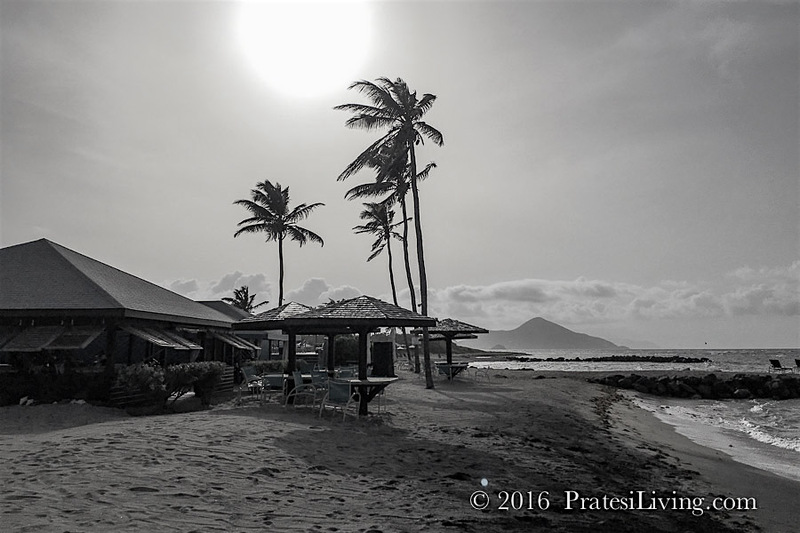 Nevis seems to be the hottest island destination in the Caribbean right now. 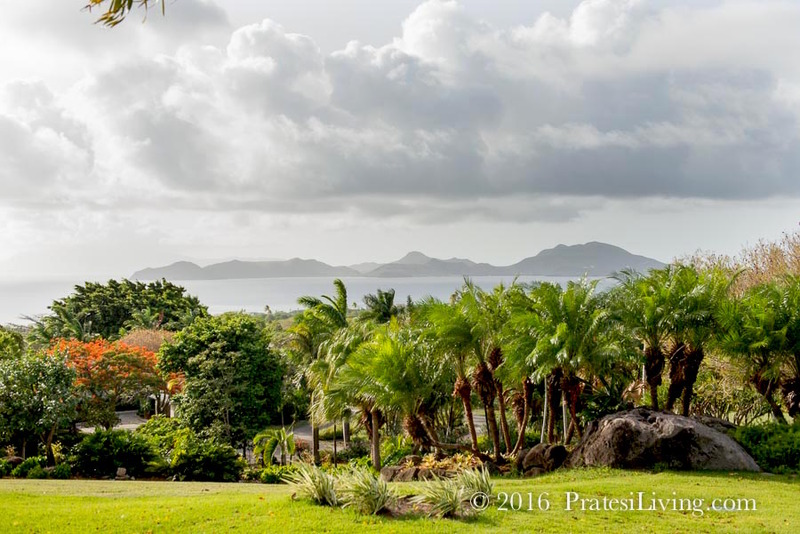 Recently named one of the “11 Underrated Caribbean Destinations to Visit this Winter” by U.S. News & World Report, the island is receiving almost daily attention with travel articles in major publicatons, notable recognition, and cruise ships adding Nevis as one of their new ports of calls. It could be that the award-winning Broadway show Hamilton has been responsible for some of the island’s newfound attraction with people making a pilgrimage to the birthplace of Founding Father Alexander Hamilton. 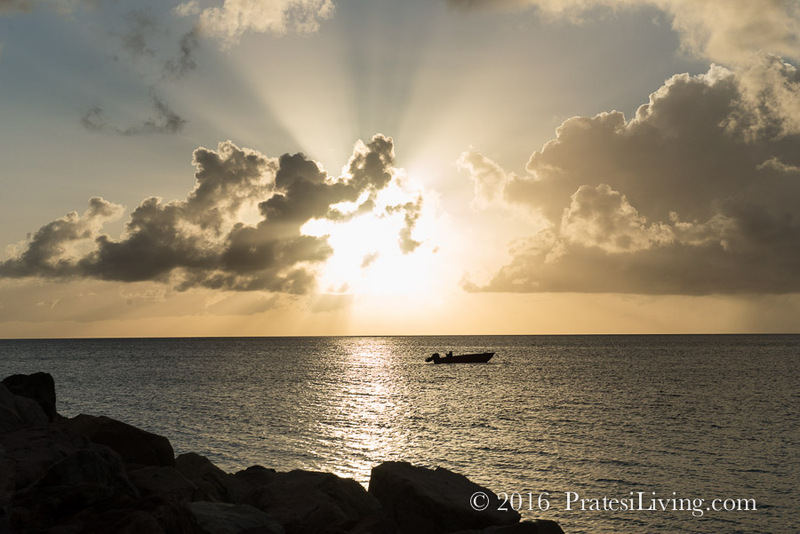 It could also be that the secret has gotten out about this fascinating quiet island in the West Indies. 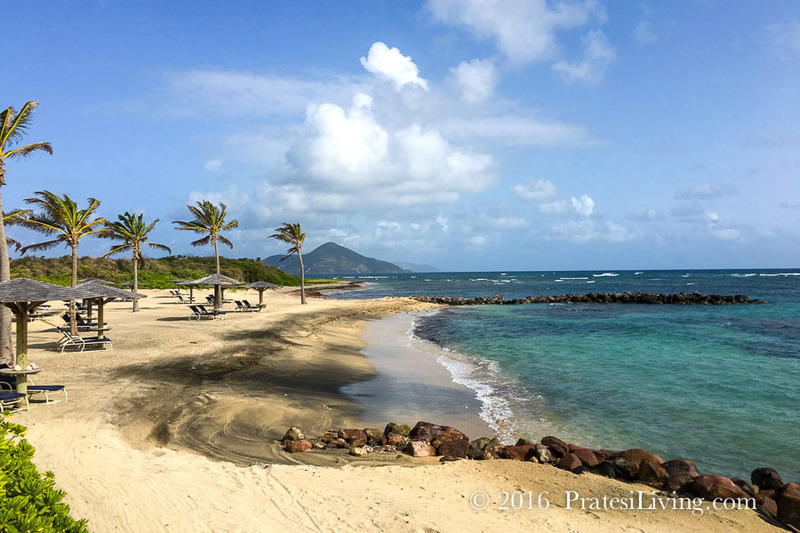 No matter why it’s becoming more popular, now is the time to make your own travel plans to visit Nevis. 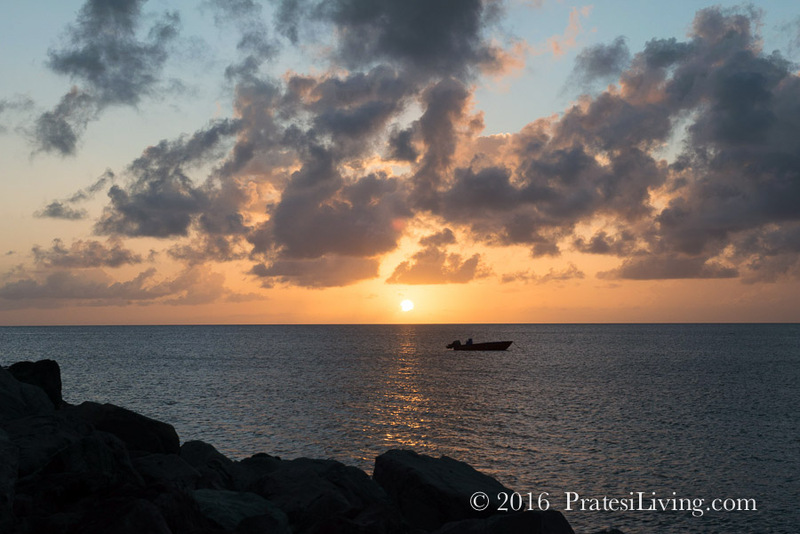 This is Part 2 of our article “In Search of Paradise on Nevis.” Here is the link to Part 1. 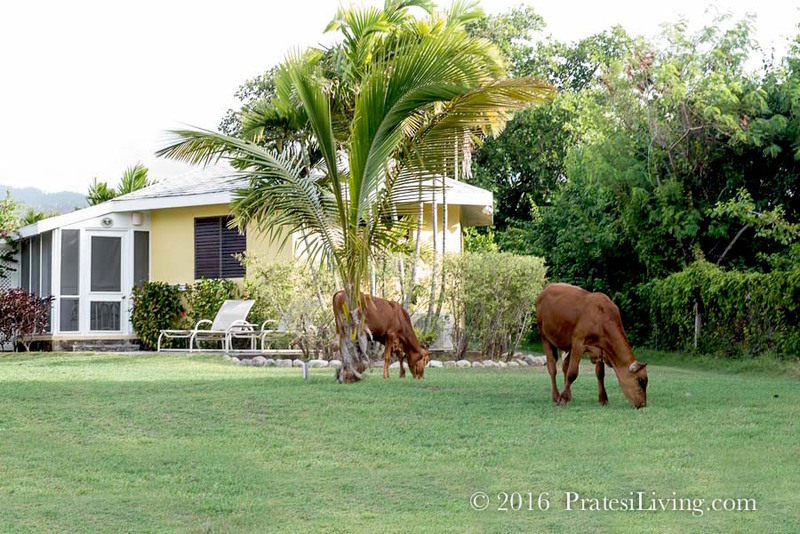 Nevis offers a range of luxury and more casual properties as well as rental villas with some being more intimate and secluded. Here is a sample of the ones we have visited. 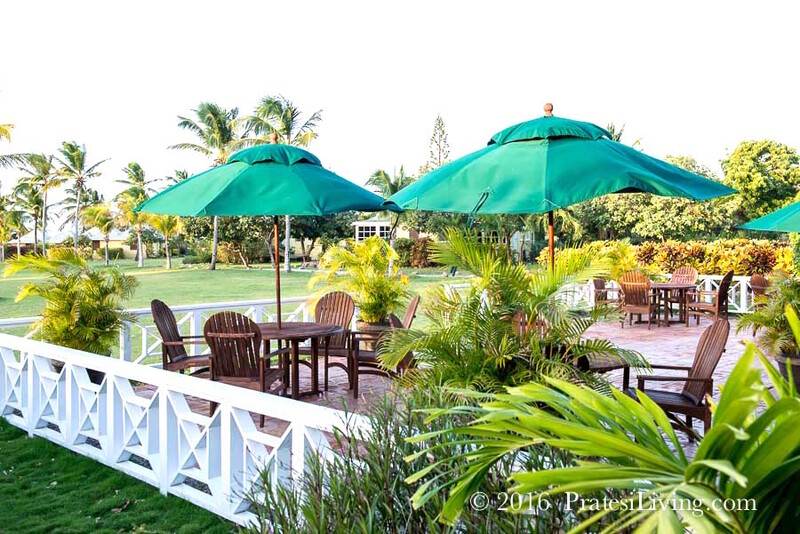 This boutique plantation-style hotel, with just 36 rooms and suites is set on 30 acres of lush green grasses and palm trees and is located directly on the beach. 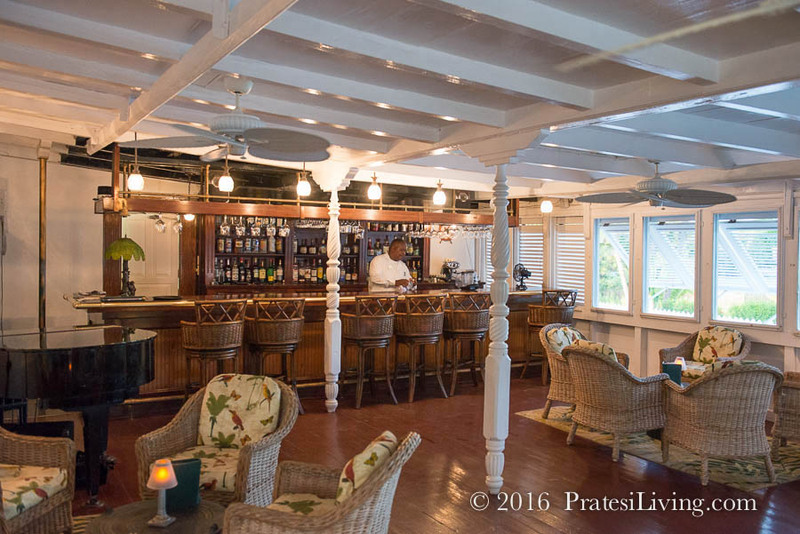 Consistently ranked as one of the top hotels on the island and in the Caribbean, a visit to the property feels like you’ve stepped back in time. 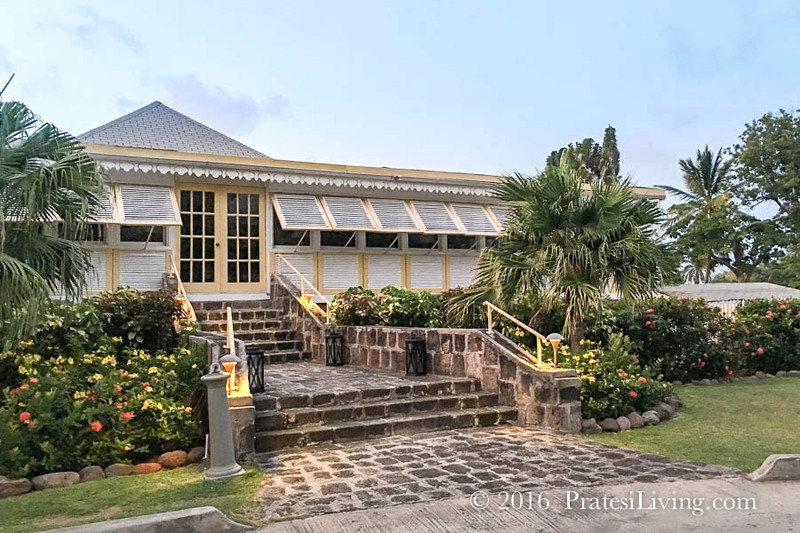 The Great House (circa 1776), which is home to the property’s more formal restaurant and bar, sits at the front of the resort, just behind the remains of one of the island’s former sugar plantations. 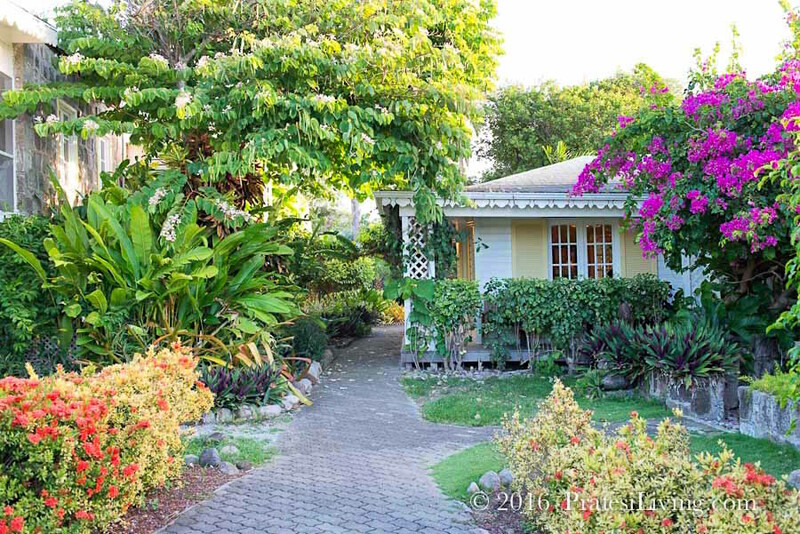 Walk through the Avenue of Palms, the sweeping lawn lined with palm trees where the individual bungalows and cottage-style rooms are located, as you head to the beach. 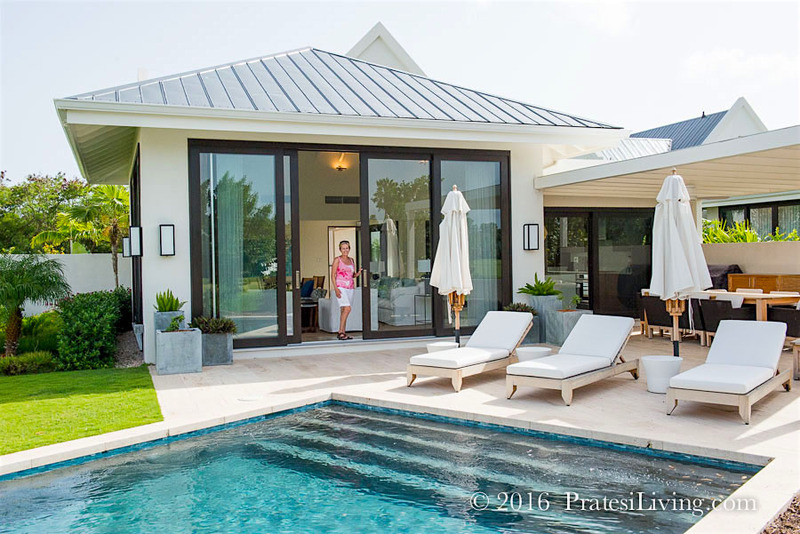 There are four different categories of rooms, each offering either a private porch or patio and some with views of the ocean. 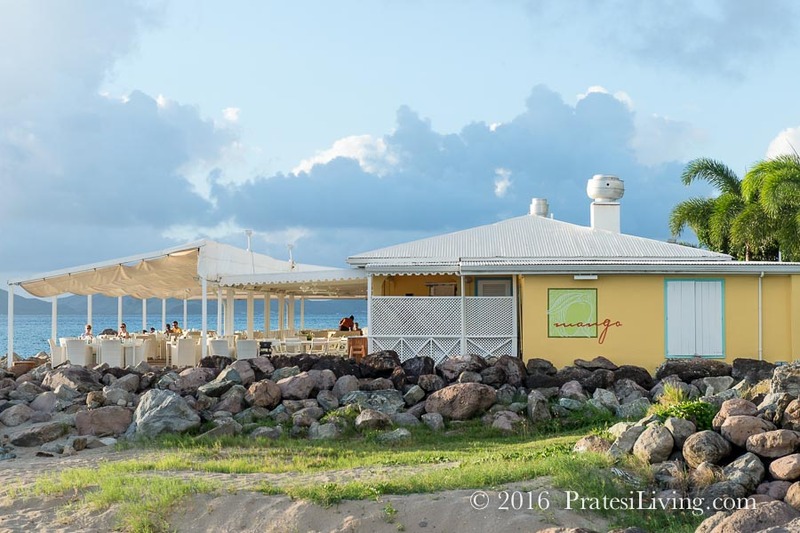 Enjoy breakfast in the morning at Coconuts restaurant while listening to the surf hit the shore or sip cocktails in the evening at Sea Breeze as the sun sets over the resort and casts a silvery glow over the beach and Caribbean Sea. 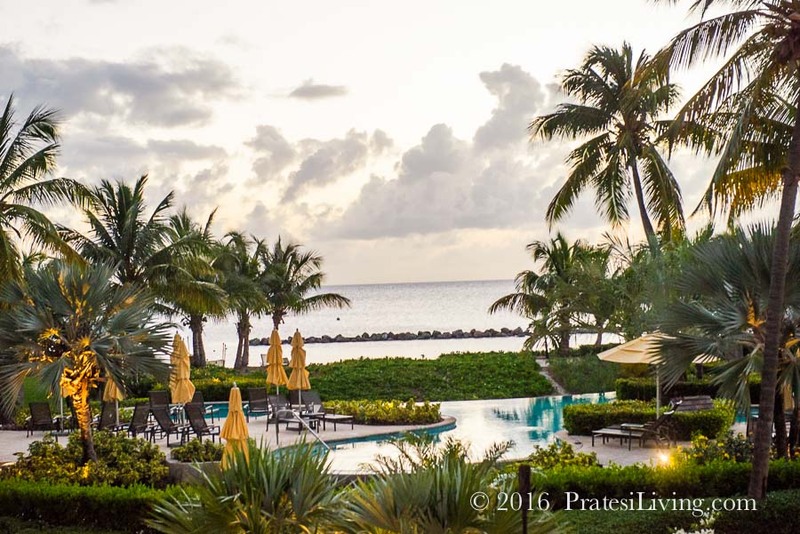 The service, friendliness, and attention to their guests is top notch at the property with hands-on management that lives at the resort and many of the staff who’ve worked at the property most of their careers. Patterson Fleming, Nisbet’s renowned Dining Room Maitre’D, proudly boasts a collection of over 6,000 ties given to him by guests who visit the resort year-after-year from around the globe. 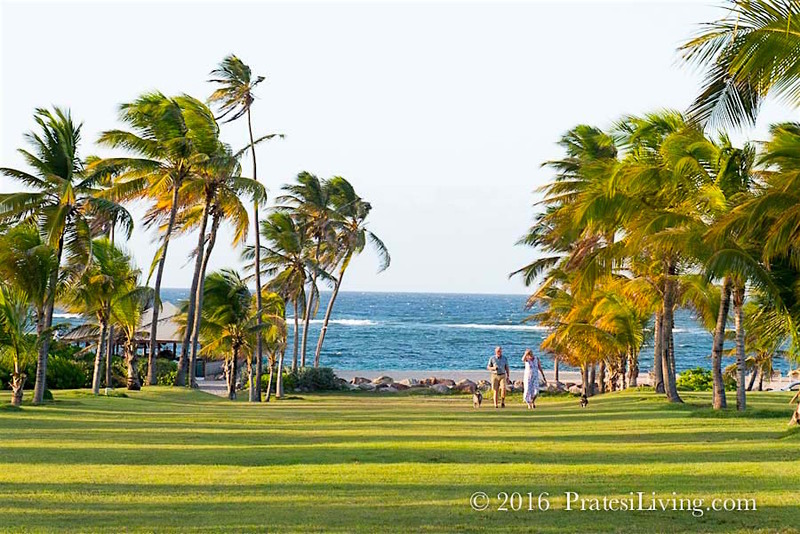 Every Monday evening the property features its signature Beach BBQ, known as Nevis Night, when it serves Nevisian specialties. 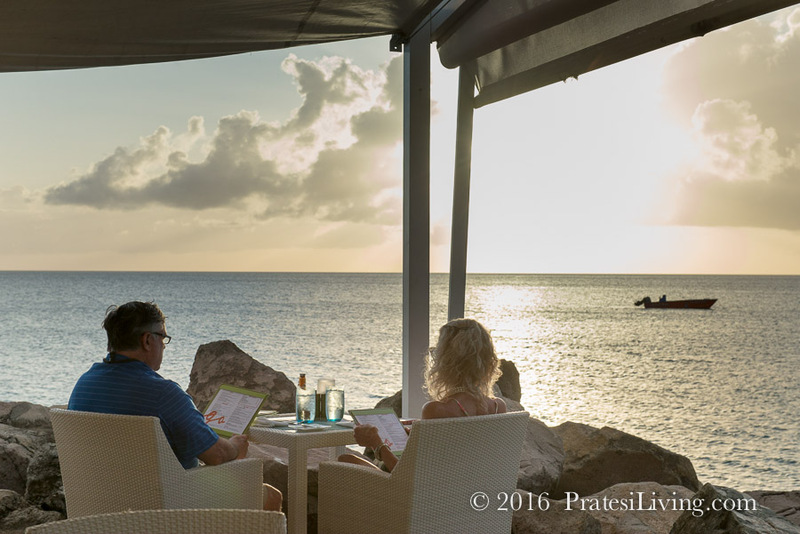 Enjoy dinner underneath the stars with the cool ocean breezes and the lively Caribbean music of a steel drum band. 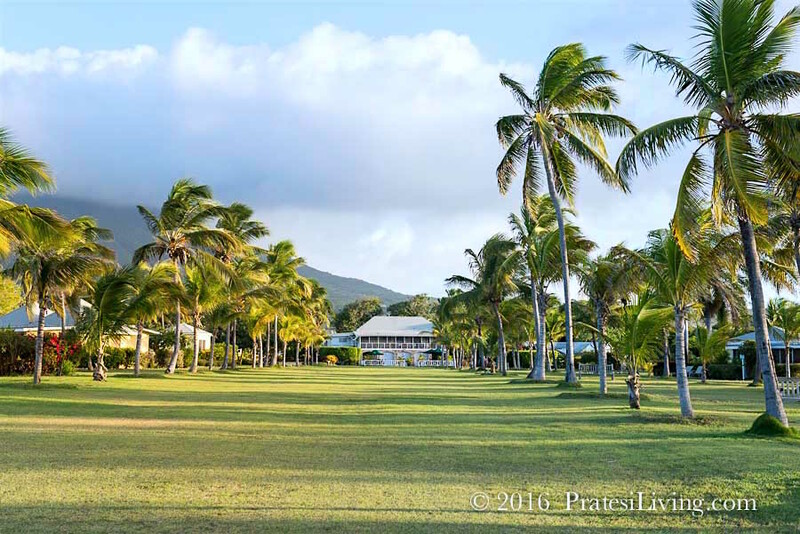 This stunning five-star luxury resort is located directly on Pinney’s Beach and has spectacular views of the rain forest and Nevis Peak. 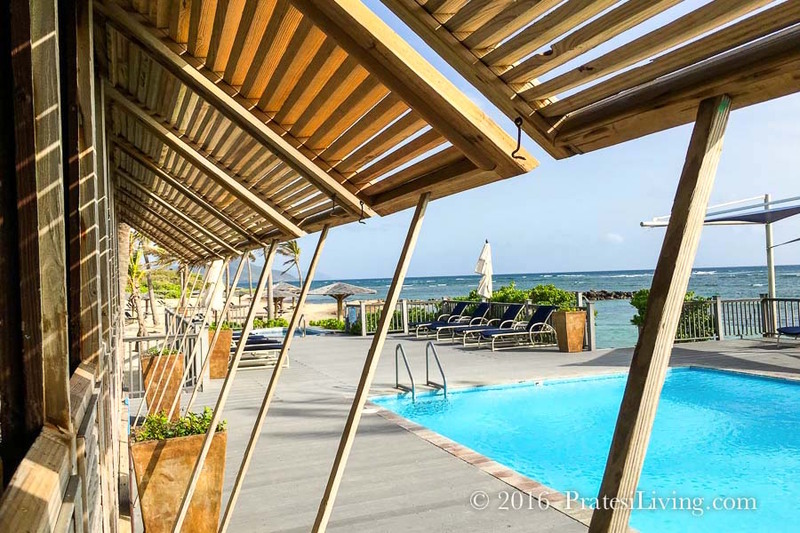 Also ranked as one of the island’s premier properties, the Four Seasons Resort Nevis is a larger property with its 196 guest rooms and suites, private villa rentals, a golf course, tennis, impressive spa, several dining options and bars, three infinity-edge pools, and intimate luxury beach houses that guests can rent for the day. 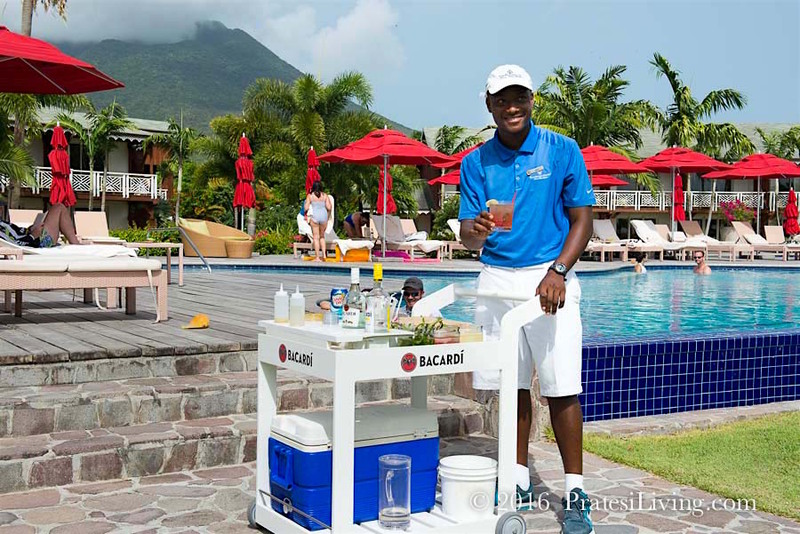 When lounging outdoors in a beach house or relaxing by the pool, don’t miss an afternoon cocktail freshly prepared by Dr. Mojito, the resort’s roving bartender. 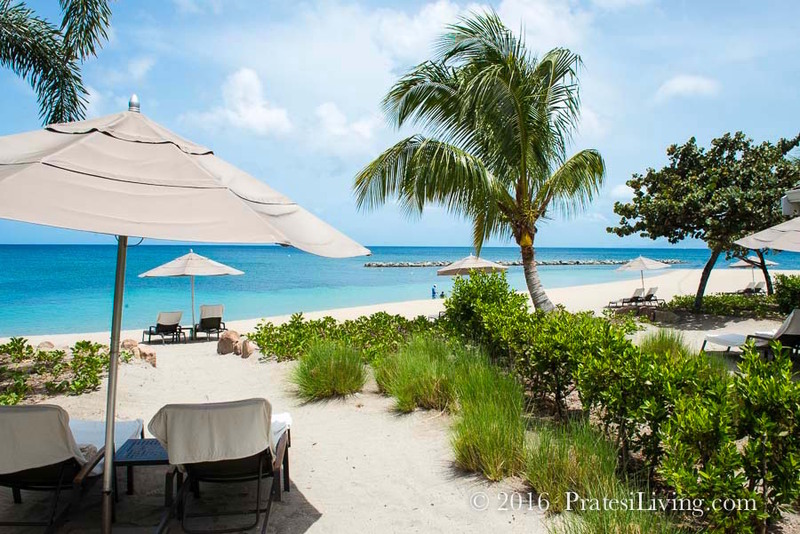 The property offers several signature experiences such as Dive & Dine, where guests dive with a Nevisian dive master and catch spiny lobsters, just like the locals do, and return to shore to sip cocktails on the beach while the chef prepares dinner. 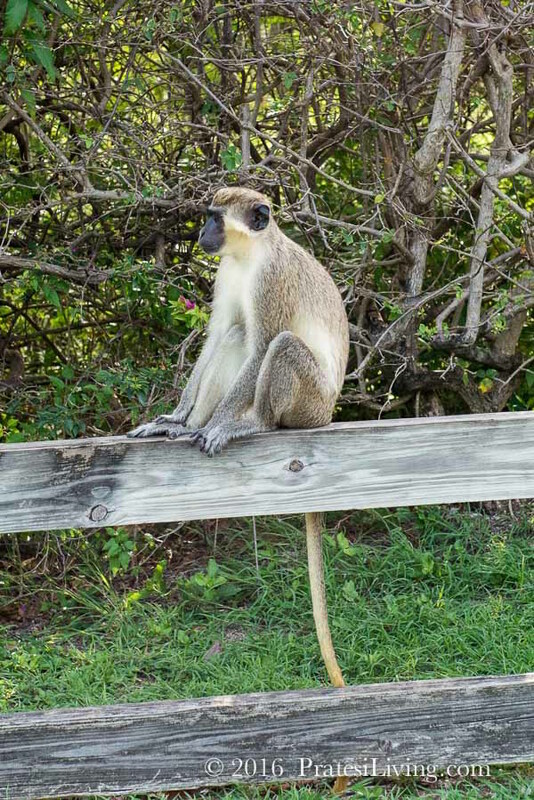 The resort’s golf course is also home to a very large congregation of the island’s frisky little Green Monkeys. 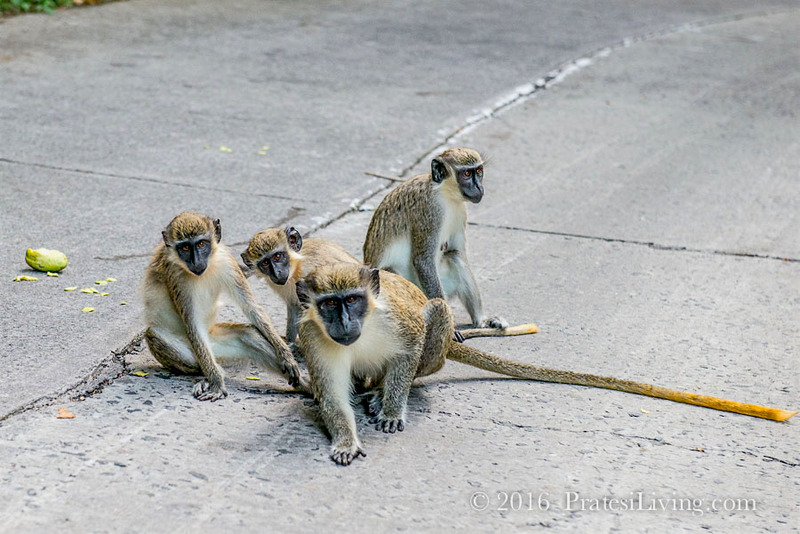 You can see them carrying on with all their monkey shenanigans at dusk on the 15th green and just behind it in the forested area. The view from our room overlooking one of the pools, the gorgeous flowers, and the beach was beautiful. 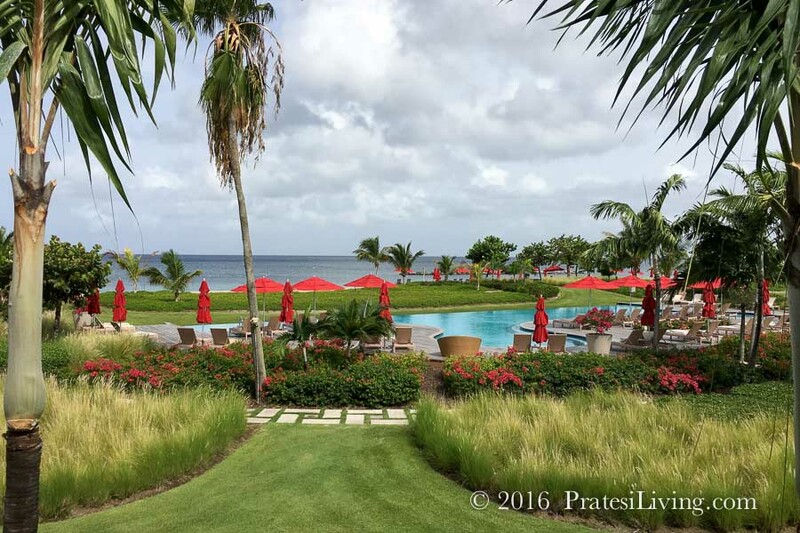 The entire property was one of the prettiest Four Seasons Resorts we’ve seen. But perhaps my favorite memory from the stay was the not-to-be-missed cocktail hour at Mango, the Caribbean-style restaurant on the hotel grounds, as we watched the sunset over the Caribbean Sea. Every few moments the colors changed from the silvery and golden glow to pastel hues of pinks and blues to a final fiery orange moment before the sun plunged into the sea.